Looking for a safe, reliable treatment for depression? Then you should know about St. John's wort. This amazing herb is comparable to Prozac and other prescription drugs in treating mild to moderate depression -- without the drugs' drastic side effects. 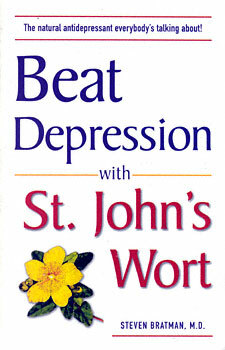 This is the one book you need on nature's strongest weapon in the fight against depression. Steven Bratman M.D., is a licensed, practicing medical doctor with extensive training in natural therapies. The author of The Alternative Medicine Source Book, he is a pragmatic advocate of the best in both conventional and alternative approaches to health and healing.